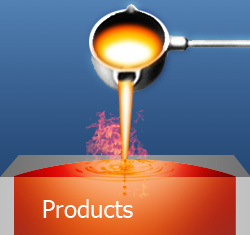 Alloy has a large inventory of brazing alloys representing high quality internationally recognized manufacturers from around the globe as well as our METALLURGICA line of materials which are specially manufactured and packaged for Alloy. Please contact us for any assistance required for the proper selection of the most cost-effective material for your brazing application. Copyright 2012 Alloy Sales. All rights reserved.